Somali armed group AlShabaab claims to have carried out bomb attack on Ethiopian army vehicle in Bardhere town. It says heavy casualties inflicted upon troops. It is unclear how many were killed. 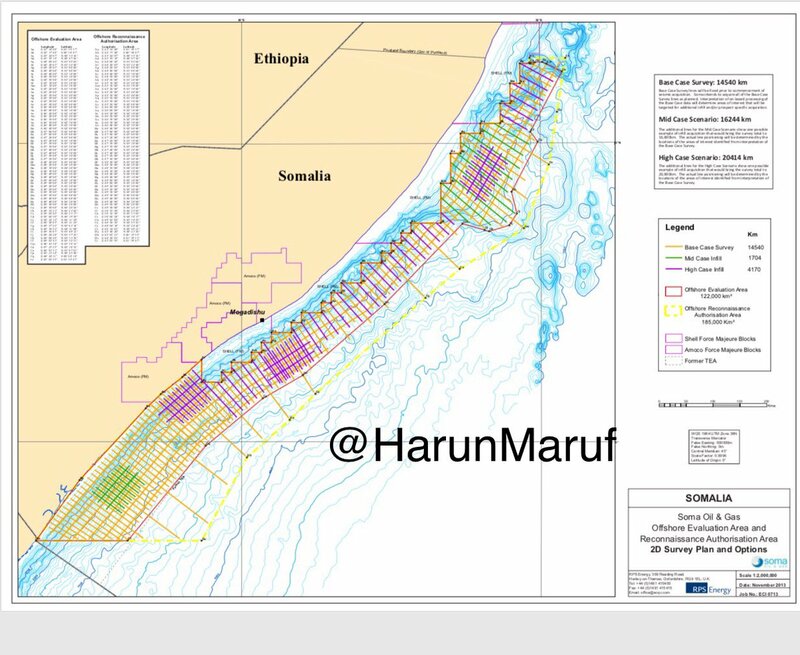 Released map shows Somalia didn't even conduct seismic survey in the maritime area that is subject of the jurisdiction of the International Court of Justice (ICJ). 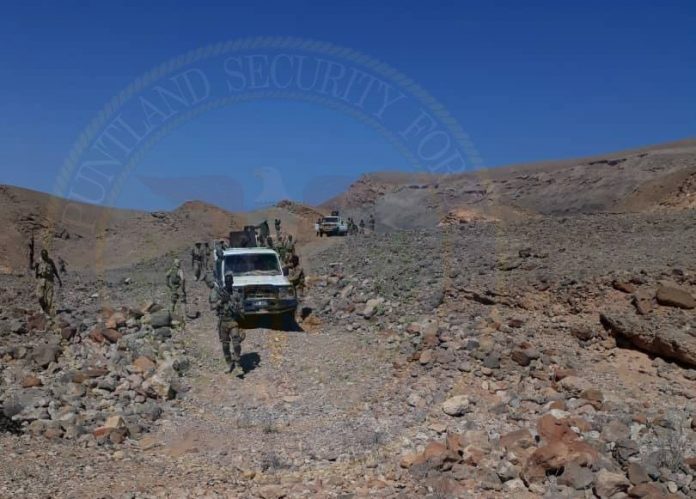 Area surveyed in 2014-2016 starts from south of Kismayo to Gara'ad in central Somalia. 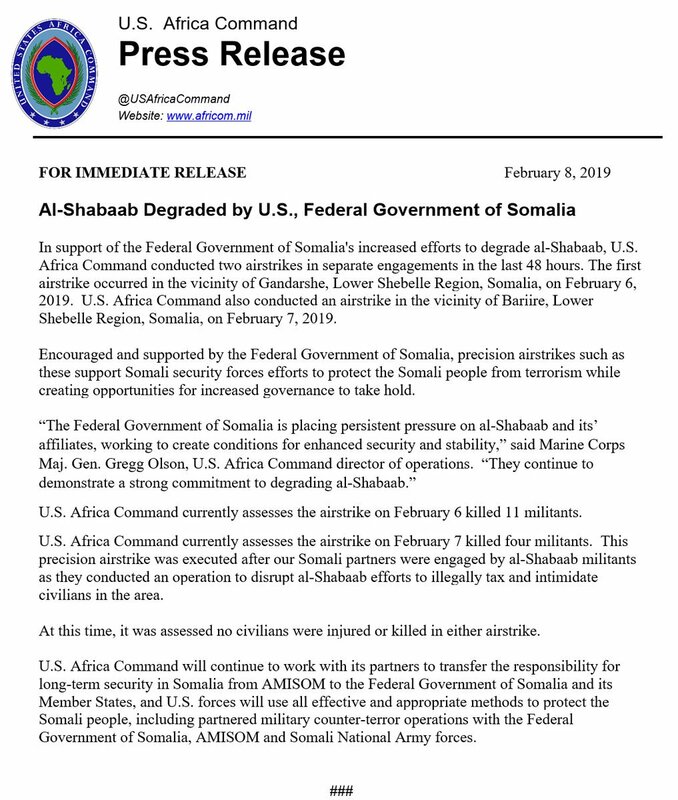 Here is the full statement by Somalia in response to Kenya decision to summon its Ambassador to Mogadishu and instruct Somali Ambassador to Kenya to depart Nairobi. 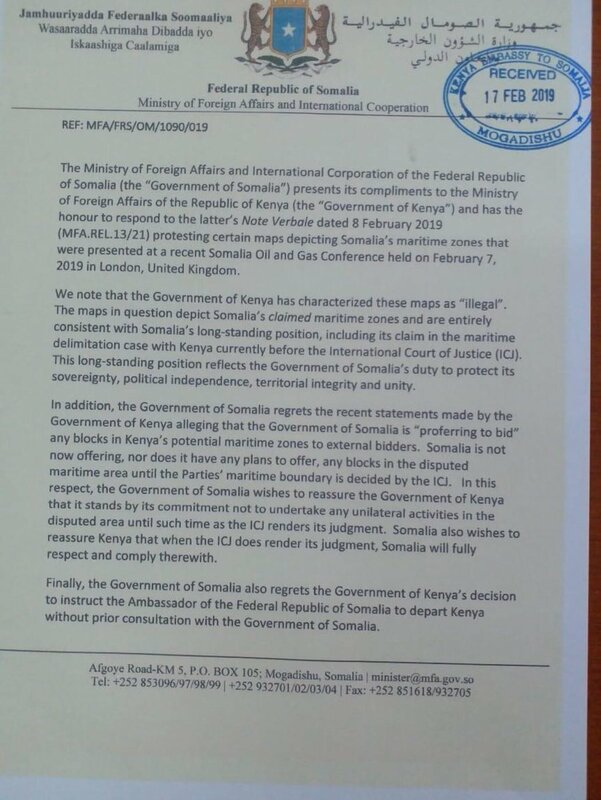 There is a fake letter circulating on social media with the letter head of @MofaSomalia addressing Kenya's expulsion of Somalia's envoy. 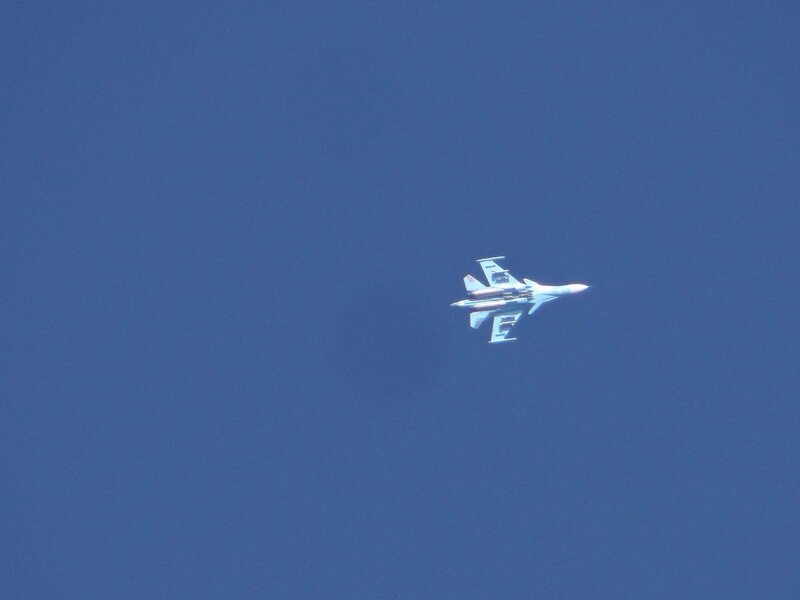 According to local media reports, there is a high-level meeting currently underway in @TheVillaSomalia and a statement will follow. 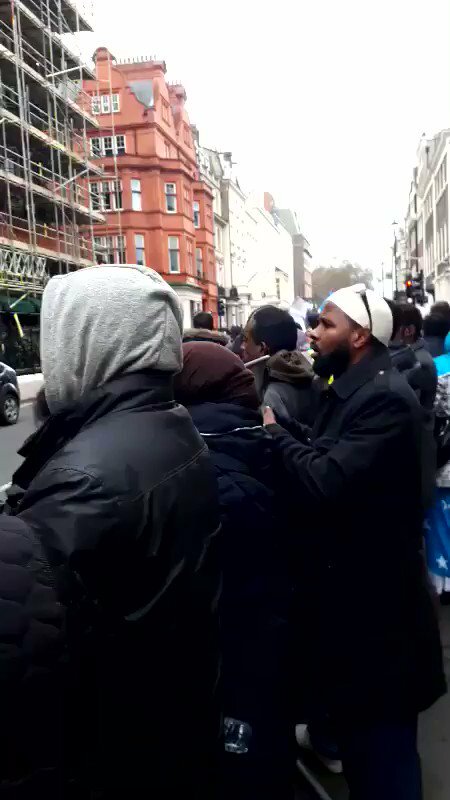 Here is the full statement by Kenya recalling its Ambassador to Somalia, Lucas Tumbo, in protest of the February 7 London Somalia oil conference. Kenya is recalling its Ambassador to Somalia, claims Somalia "auctioned" oil and gas blocks in Kenya territory. 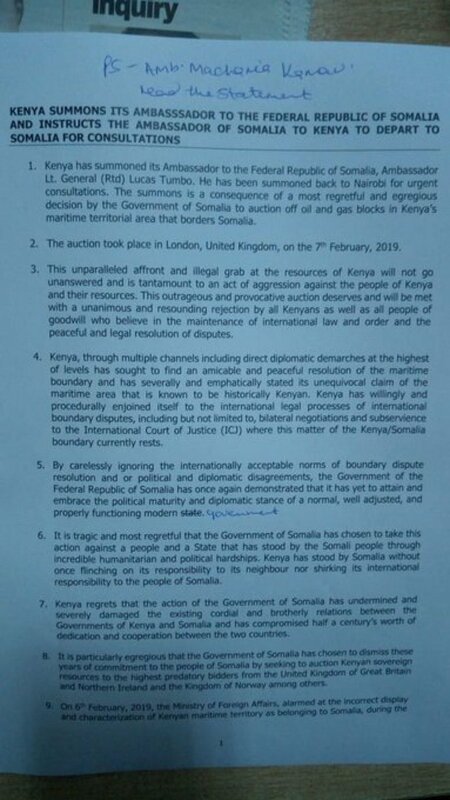 The report doesn't say which part of Kenya territory Somalia has allegedly auctioned. 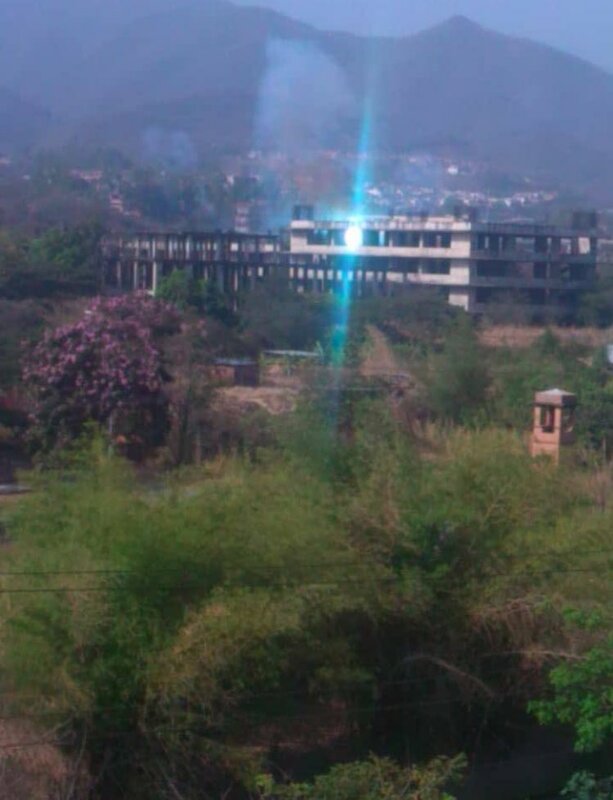 Reports of an explosion at Dayniile police station near xero jarmal area in Dayniile district. Casualties remains unknown. 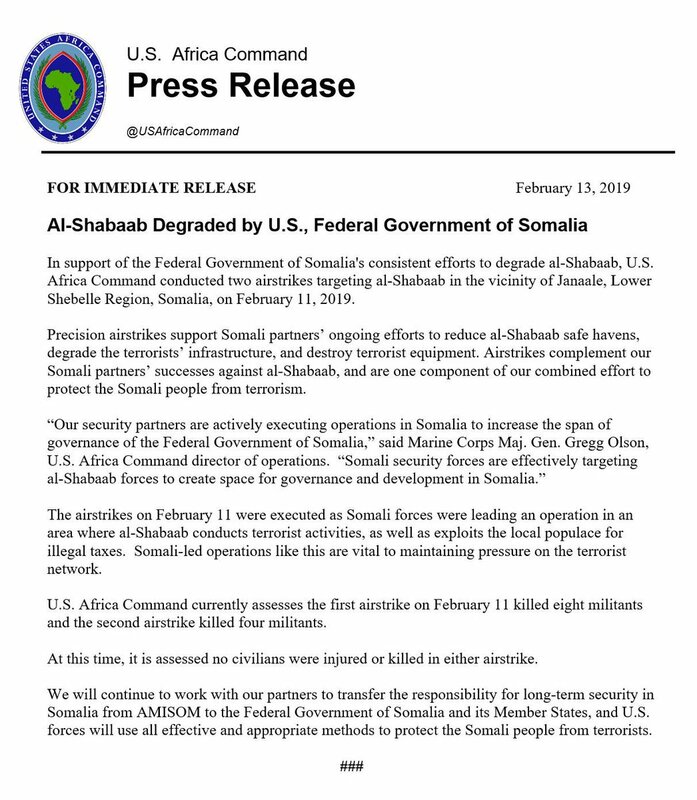 US military says it has killed at least 12 AlShabaab militants in drone strikes carried out in Somalia. 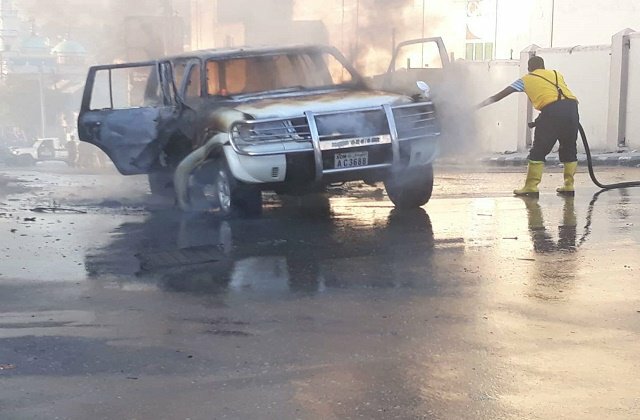 Somali police officer killed after bomb explosive fitted into his car exploded in Mogadishu. 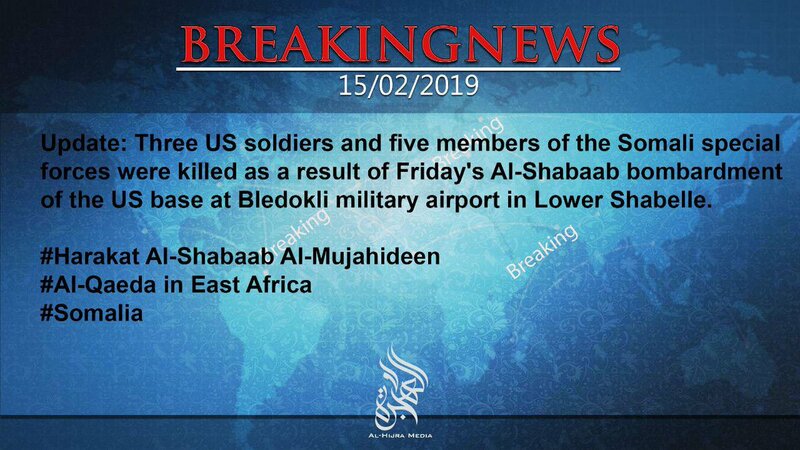 Today's attack claimed by AlShabaab.